As a Marine Corps Reserve veteran, it is an honor to serve on the House Armed Services Committee (HASC) and support our service members working to protect our national security interests, while balancing our domestic priorities. My priority on HASC is to ensure that our National Defense Authorization Act (NDAA), which must be passed every year, includes important investments that reflect our Central Coast values in the Department of Defense's policies, programs, and activities for the military worldwide. I believe we must do more work to cut wasteful spending in our military programs as well as to strategically reduce our nuclear weapons stockpile. I've previously amended the NDAA to help designate the Central Coast as a cybersecurity training hub, strengthen local engineering programs through military partnerships, and respond to the threats 3-D printing of nuclear weapons pose to our national security. I have also worked to secured various funding initiatives in the NDAA that support defense industries on the Central Coast, driving local economic growth and increasing job opportunities. Carbajal’s NDAA amendment authorized a National Guard cybersecurity training center pilot program that could build on the progress of the California Cyber Training Complex (CCTC). The National Guard has indicated their cyber training pipeline remains constrained and that they are looking into ways to accelerate joint education and training. This pilot program will collaborate with academic institutions like Cal Poly University, San Luis Obispo to develop curriculum to provide educational training on protecting critical infrastructure alongside other agencies and partners. Carbajal secured $5 million in funding for the Defense Department Educational Partnership Agreement at Cal Poly. This funding supplements two programs on Cal Poly’s campus – the High-Performance Computing Lab and the Electrical and Micro Propulsion Lab. This amendment encourages DoD-academia research partnerships on the Central Coast that will ultimately help sustain the United States’ technological edge. 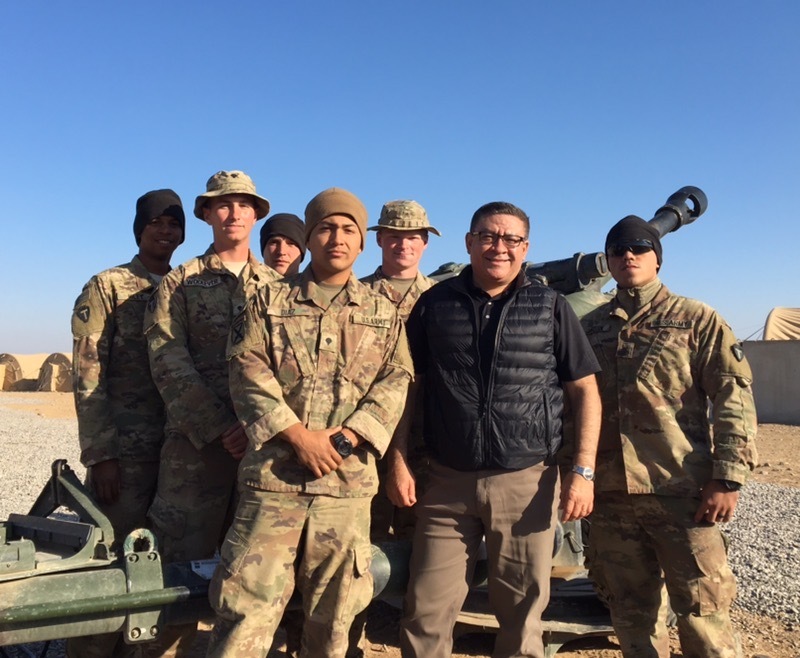 Carbajal co-sponsored an amendment that directs the Defense Department to research the impacts of climate change on our military operations and propose strategies to combat its effects. As a military that has committed to and invested in maintaining global presence this legislation helps ensure we are prepared to protect our personnel and assets from the impacts of climate change. Carbajal led a bipartisan effort to successfully include language that ensures service members who have permanent resident status are aware of the opportunity for expedited naturalization. With intensified military operations in recent years, many service members were not made aware of their expedited naturalization opportunities. This amendment now requires that the military provide this information to our eligible service members and veterans. Carbajal included language expressing the importance of the Youth Challenge Program such as the Grizzly Youth Academy at Camp Roberts while continuing to require a report to ensure effective oversight and accountability of the program. The Grizzly Youth Academy is one of the most effective youth development programs for high school-age students on the Central Coast that have dropped out or are at-risk of dropping out of school. Carbajal supported language urging the Marine Corps to develop body armor that meets the specific needs of female service members. It is an ongoing concern that the Marine Corps is just developing more sizes rather than developing female-specific body armor. For more information concerning work and views related to defense, please contact our office.